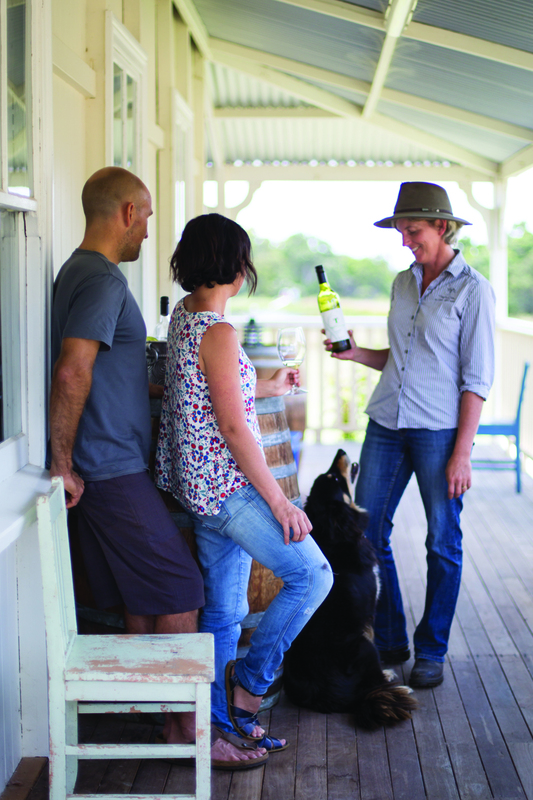 Stylish cellar door, located in a classic 1920’s Queenslander with wrap-around verandahs on three sides, with views to the vineyards and hills beyond. Come experience our full flavoured crisp white wines, our hugely popular Pink Moscato and our signature deep inky-purple red wines. 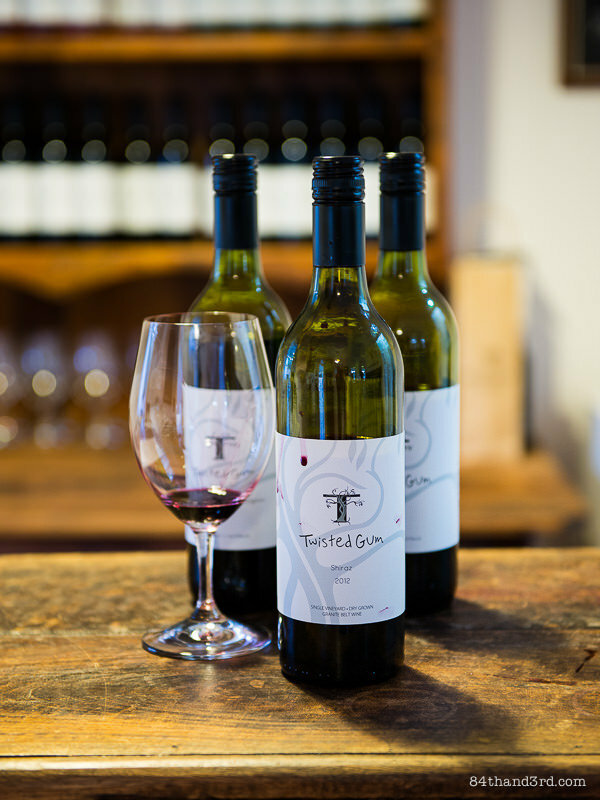 In The vineyard we focus on the production of premium quality wine grapes using sustainable agricultural practices. Our vineyard is at an altitude of 900m; we have low yields (usually less than 4 tonnes per hectare). 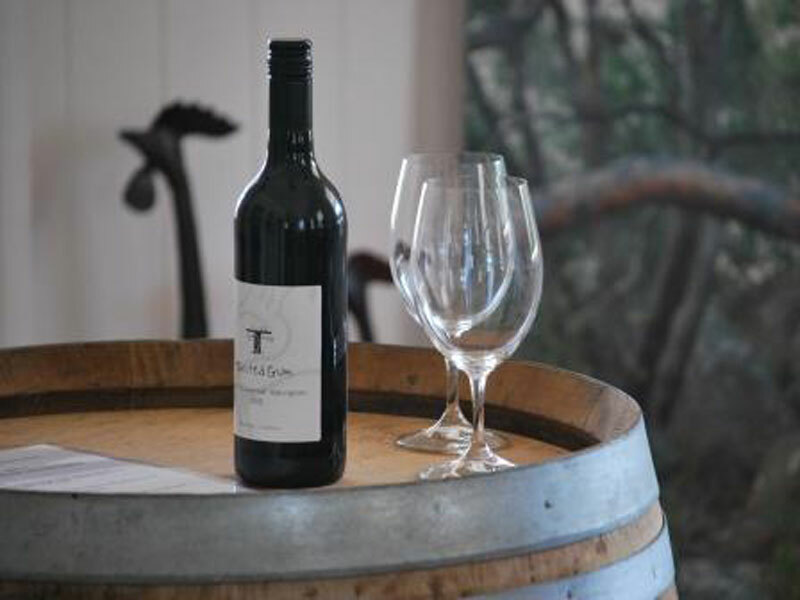 Come try our wines – we are confident that you will be impressed by their quality. Dry whites, dry reds, sweet Pink Moscato. 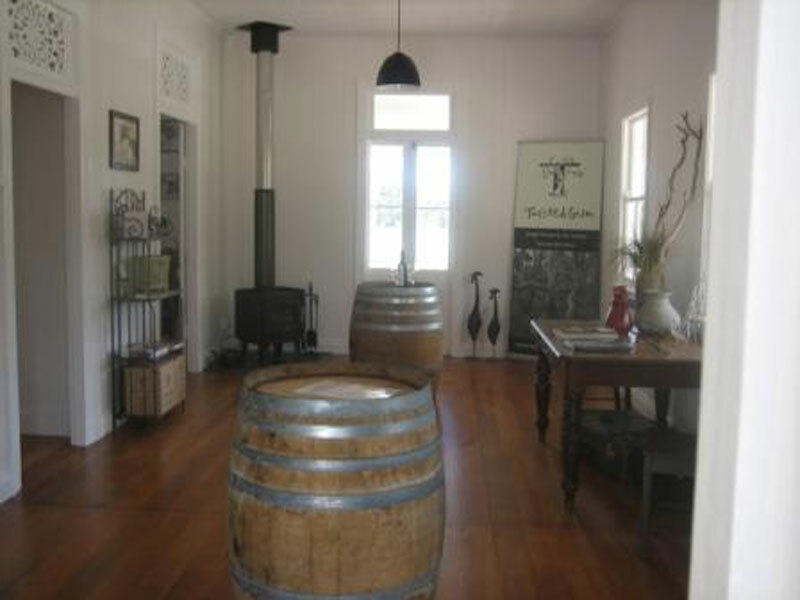 Our cellar door is in a beautiful old Queenslander, featuring original VJ walls and four inch hoop pine floor boards, sunny verandahs on three sides and an eclectic collection of period furniture, including a unique hand carved Indian sideboard that we are using as a bar. It is a perfect spot to kick back and relax and taste some amazing single vineyard wines in a truly spectacular setting. 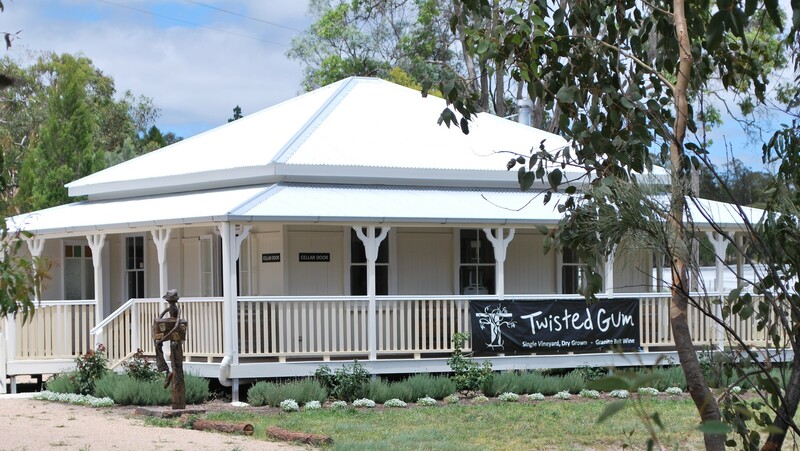 We are open 10am to 4pm on weekends, or by appointment (phone 0404 007494). 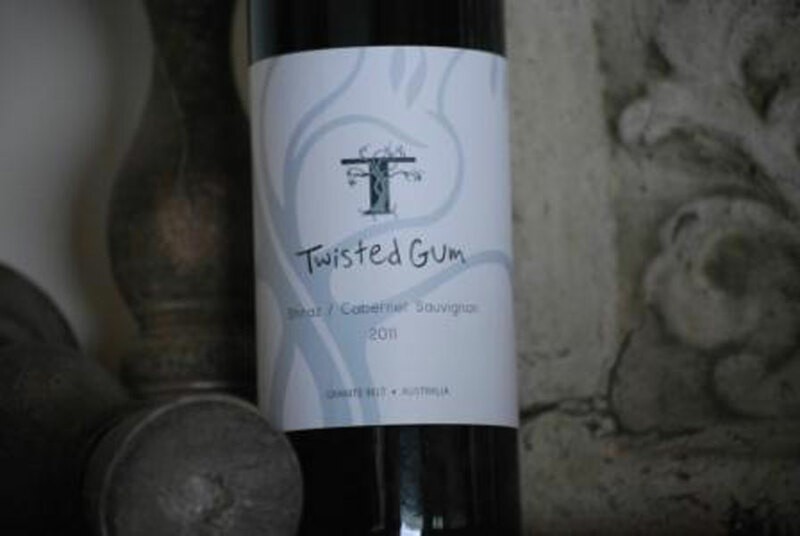 At Twisted Gum wines we believe that sustainability should be a core aspect of all that we do. 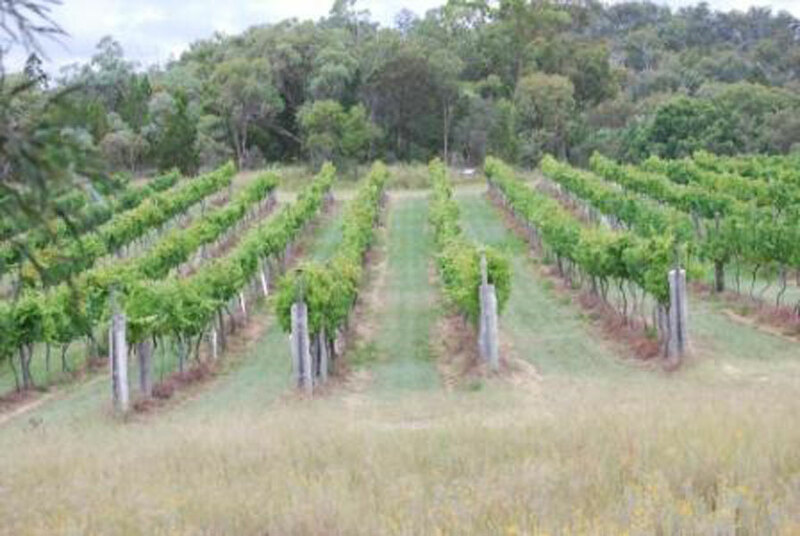 Our three hectares of vines are planted in eight small blocks surrounded by native bushland. We hence have no need to apply insecticides. The many birds which live in the eucalypt forest surrounding our vineyard blocks control caterpillars and various other insects, while native wasps help control scale insects. We do not irrigate our vines at all when they are producing fruit. This leads to low yields (usually less than four tonnes per hectare) but also has many advantages. By not irrigating we control the vigor in the grape vine, producing a nice open canopy which allows breezes and sunlight to help control disease and also fully ripen the fruit - producing small quantities of high quality grapes with amazing flavours. 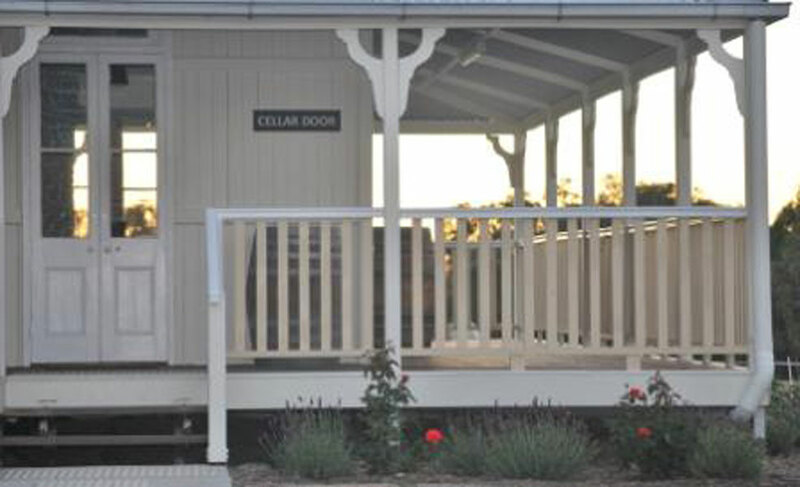 For further information on this popular cottage, click on the Where to stay menu item. Such a relaxed atmosphere, a great place to stay and sample their organic wines which if you ask me taste better than the majority of non-organic wines. Had such a great day here I would highly recommend visiting.